Some games are just plain insane. Take Warioware, for instance. Complete and utter insanity. Yet a hell of a lot of fun. 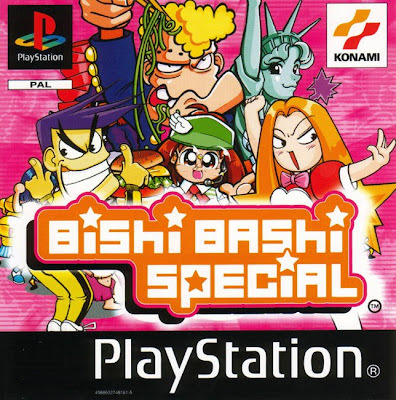 Well, years before Warioware first touched our already corrupted brains, Konami had already had considerable success in the "Microgame" market with Super Bishi Bashi and Hyper Bishi Bashi in arcades... and of course, the Playstation version in Bishi Bashi Special. 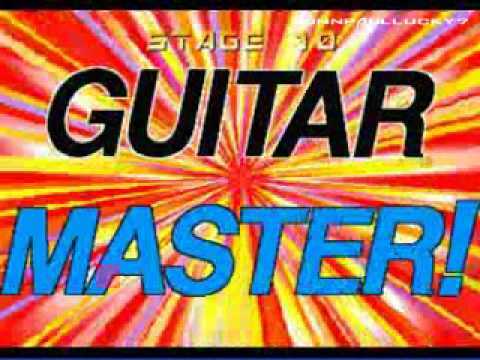 And yes, it was a collection of mini/microgames, many of which had a distinctly "insane" feel about them. 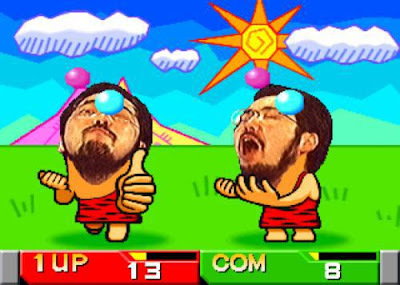 But if I had a choice of WarioWare or Bishi Bashi Special as the only game I can take with me to a Desert Island... I'd choose Bishi Bashi in a heartbeat. 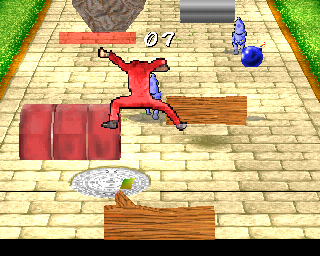 The name of the game is a big clue, many of the minigames require quick reactions or quick bashing to win. Others require a good rhythm. But the emphasis is on the bash of the buttons. That and good clean fun, of course. 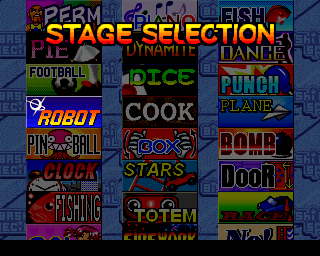 So you fire the game up, and first of all you're offered a choice between "Super Bishi Bashi" and "Hyper Bishi Bashi". The real difference between these two is the choice of minigames you'll have when you actually play. Both have their share of gems among the games, but if my life depended upon choosing one over the other, I'd play the Hyper mode. Whichever you choose, you can either play all the games involved in that particular mode in a Marathon Endurance Challenge, or choose one game at a time. Each round is fairly straightforward. With a typical Japlish cry of "ATTENTION! ", you're given a very brief instruction of what you're about to have to do... and then you're off. Each game can last from between 20 seconds and about a minute, if you're successful you carry on, if you're not, you lose a life. 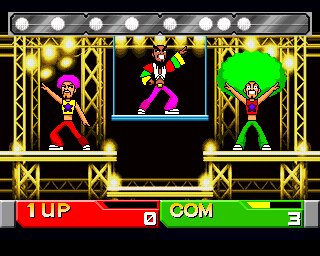 Which is almost exactly how Warioware works, but in 5 second bursts. There's a lot of variation, some games are rhythm based, where you have to copy a rhythm, which is graphically represented by your growing afro (and yes, it can fill the screen), others are reaction based, where you have to hit the right button or sequence of buttons to eat a cake, or beat up some gangsters, or eat beans, or make burgers, or... erm... a whole host of other things. Some games require you to identify an object as it glides past, possibly obscured, others require you to drive cars or tanks. But there's two games in particular that stand out, and could not be anymore Japlish if they tried. From Super Bishi Bashi, there's "The Not Too Great Escape". 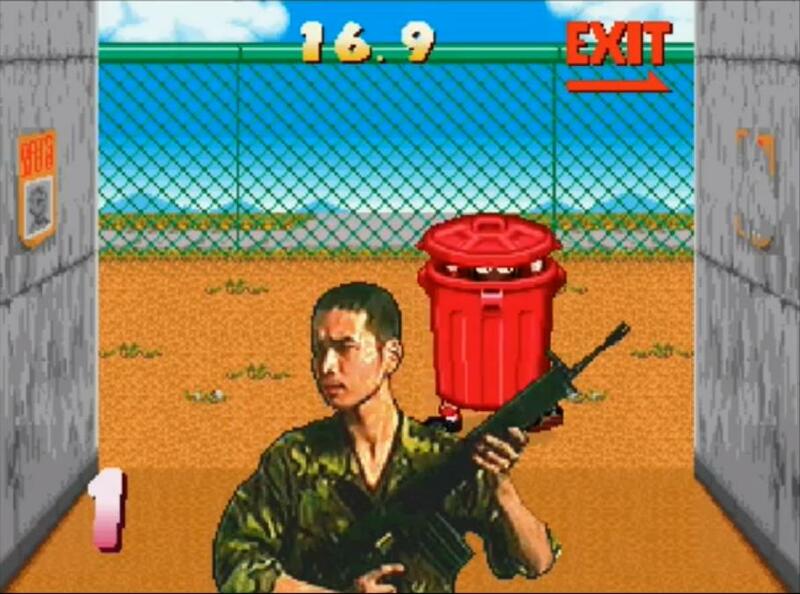 It's kind of like Blind Man's Bluff, there's a guard armed with an assault rifle with his back turned to you, and you must tap the buttons to scuttle across open ground behind him. Numbers flash across the screen as he counts to 10, when he reaches 10, he turns round, and if you're not hiding in your trash can or whatever, you get shot in a hail of gunfire, and must try again. Pure brilliance. From Hyper Bishi Bashi, there's the "Hyper Pie Throw". It's basically the same as a javelin event in any Track and Field based game ever, bash the buttons to gather speed, then hit the middle button to set the angle, and hope for a good distance. The big difference is... it's set at a wedding. 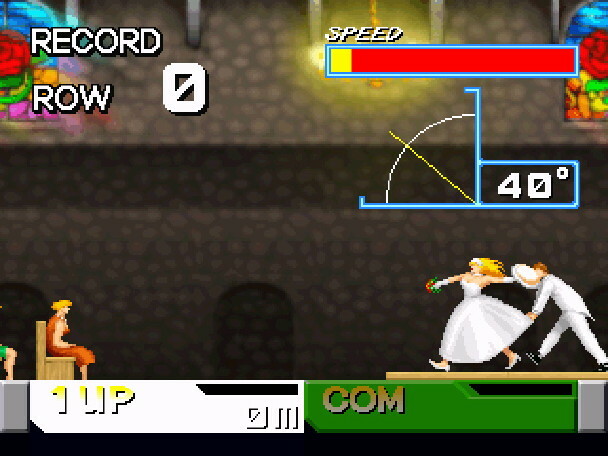 The bride hurls the pie with the groom running along behind, holding her dress up. And the vicar giving it his best "Ready, Go!" that he possibly can. I don't care if it's insane, it's bloody hilarious. So, it's a rave review, right? I'm sorry, I love this game, it's great fun, whether on your own or playing with others, but there's just one problem right now. If you download this game from PSN for your PS3, DON'T BOTHER playing the rhythm based games. I don't know what it is, but SOMETHING is amiss in the timing with the joypads. I've tried them wireless, wired, tried adjusting the delay settings, and no, there is no getting away from it. Unless someone else has any bright ideas?